Good standard lodge accommodation on the Galapagos Islands on a twin share, with all meals. A selection of cultural walks in northern Ecuador followed by a thorough exploration of the Galapagos islands from the comfort of hotels and lodges in beautiful settings. This fabulous holiday gives you the chance to experience life in the local communities of northern Ecuador and the Galapagos. It combines some easy walking visiting towns and villages in the Otavalo area of Ecuador with six nights viewing the amazing wildlife and unique landscapes of the Galapagos whilst learning how communities live on these islands. Ecuador sits on the equator between Peru and Colombia and it is one of the smallest of the Andean countries. Despite its small size the country’ is an ideal destination for a gentle walking trip. Upon arrival you will transfer to the Otavalo, an area famous for its craft market and workshops. Here you will walk through pretty pastoral countryside as well as visiting Cuicocha for a walk around this scenic crater-lake and whilst staying in charming family run inn and a beautiful old hacienda. You will then drive to Quito’s colonial Old Town and explore the streets and churches of this fascinating city. Then it is off to the Galapagos for the next part of your exciting journey. During your week in the Galapagos you will stay in small, scenic hotels on three islands giving you the opportunity to understand how communities have survived and flourished despite the remoteness of the islands. By spending more time on land than on a cruise boat, you can start to understand how the communities on the four inhabited islands really live. It opens your eyes a bit more to the human side of these extraordinary islands whilst having the added benefit of enabling you to go out and explore early in the morning and later in the evening when the light is good and the heat of the day is not so extreme. There are after all shops and restaurants, cafés and bars all waiting to be visited and once the ‘cruise visitors’ have departed for the day, it is all yours. During the day, there will be easy-paced walks to explore volcanic landscapes and historic sites and to observe the unique, varied and seemingly fearless wildlife of the islands. There will also be numerous opportunities to snorkel, kayak, paddle board and generally be on the water witnessing the myriad of aquatic life going on all around you. In fact, ever day will bring new and exciting experiences with memories to treasure long after you return home. Fly to Quito. Transfer to Otavalo. Stop at Guachala to step across the equator. Local walk. Hike to Otavalo. Visit the market (except 1st December 2019 departure), Peguche Falls and craft workshops. Walk around Cuicocha Lake. Optional boat ride. Visit Zuleta Community and the Condor rehabilitation project. Take a cookery class. Drive to Quito. Guided tour of the key sights of the old city. Fly to Galapagos. Kayaking and snorkelling in the Itabaca Chanel. Transfer to Santa Cruz Highlands. Visit a nature reserve where giant tortoises live. Boat transfer to Floreana Island. Walk to La Loberia to see Sea Lions and snorkel with turtles. Island hike guided by a local resident. Boat transfer to Isabela Island, visit Wetlands & tortoise breeding centre. Travel to Tintoreras Island - walking & snorkelling. Volcano walk in highlands of Isabela. Boat transfer to Santa Cruz Island. Visit the Darwin Centre. Fly to Guayaquil for flight home. Your trip will be led by a fully trained English speaking local guide. In Ecuador these guides are enthusiasts for their mountains and are normally exceptionally highly educated, often in the States or in Europe and have lots of mountaineering and trekking experience. They can provide a fascinating insight into their country and an in-depth view of the area you are visiting. Your trip may be led by Fabien Freire or Pablo Montalvo both of whom are enthusiastic and popular leaders who have led this trip for us in the past. Our Galapagos guides are fluent in English, and are incredibly passionate about their country's flora, fauna and history. They bring the Islands' fascinating birds, animals and landscapes to life in an entirely new way with their expert knowledge, and also share the incredible stories of the Islands' human inhabitants - a side of the Galapagos that many travellers never discover. Our guides are trained to support the well-being of natural areas and the wildlife and people who live in and around them. They are highly qualified and experienced ecotourism specialists with a commitment to providing an unforgettable travel experience and top quality, personalised service. Fly from London to Quito on an overnight flight. Day 2 - Arrive in Quito. Group transfer to Otavalo, 2,543m/8,345ft. Stop at Guachala on the way. Upon arrival in Quito you will be met and transferred by private bus to Otavalo, which is around 2 hours drive away. Along the way you will stop to visit Guachala so you can straddle the equator. This is a touristy place but an experience to be had to cross the equator on foot! Depending on the flight arrival time you may also stop for lunch along the way. On arrival at your accommodation you will have time to settle in before stretching your legs on a short local walk. Dinner will be taken at your accommodation where you will be able to enjoy some typical Andean cuisine. Day 3 - Walk to Otavalo. Visit market. Peguche Waterfalls walk. Visit craft workshops. If you are staying at Hacienda Cusin, you will make the short drive after breakfast to nearby Casa Mojanda then walk down the valley to Otavalo. The path starts from the grounds of Casa Mojanda and soon drops into the small river valley, descending through a peaceful rural area until you get to the small streets leading to Otavalo town centre. Here you will visit the famous Otavalo market. The Saturday and Wednesday markets at Otavalo are one of the most famous in South America. Here you find many stalls in the Plaza de Ponchos selling a wide range of handicrafts including weavings, tapestry, rugs, bags, paintings and other artwork all made by the local indigenous community. There are handicrafts here to excite even the most hardened souvenir shopper. The people of Otavalo have been famed for their artistic flair and as fine weavers since pre-colonial times. They are also great entrepreneurs and nowadays people from the town travel all over the world selling their goods. After as much time as you need (within reason!) for shopping and enjoying the sights and sounds of the market you will meet up and walk to the sacred waterfall of La Cascada de Peguche. It is an easy walk up on good paths to the base of the falls, followed by steps up above them for some great views. A boxed lunch will be taken along the way whilst you enjoy the nature of this area. Once you have reached the top of the waterfalls you will be met by your vehicle and taken to visit some of the traditional craft workshops famous in this area. Your guide can let you know what is available and help you decide which to visit based on what interests you most. Day 4 - Walk round Cuicocha Lake, 3,246m/10,650ft - 5-6 hours. After a good breakfast you drive to Laguna Cuicocha (Guinea Pig Lake) a spectacular crater lake situated in the collapsed crater of a volcano, at the foot of Volcán Cotacachi, at an altitude of 3,350m/11,000ft. Here you can make a pleasant walk right around the lake. You set off in a clockwise direction firstly on tarmac and then along a well-maintained trail which undulates along the crater rim with good views over the lake and its two islands. From here, weather permitting, it is possible to see eight volcanoes - Cotacachi, Cuicocha, Imbabura, Cayambe, Antisana, Cotopaxi and Pichincha. You walk through lush vegetation and will see many native Andean plants including bromeliads, orchids and puyas (a handsome plant with a tall flower-spike). You will also see, among many other birds, humming birds, large thrushes (merlots) and down on the lake, coots and several species of duck. If you are lucky you may see an American kestrel and perhaps even a condor. You reach a high viewpoint from where there are excellent views over the lake. The trail then descends to some modern buildings, including an interpretation centre where Indian women often gather to sell souvenirs. It may be possible to take an optional boat ride out onto the lake from here if you wish. You then return to the car park for the drive to your historic atmospheric, hacienda for the next two nights. This hacienda has an interesting story, the son of a liberal reformer and a wealthy, land-owning mother managed to create a community during his lifetime, a feat that no landowner in Ecuador had ever done before and perhaps has never done since. Your guide will teach you about the amazing and inspiring Plaza family and the continued work with the local community of Zuleta to help develop one of the best ecotourism destinations in the northern Andes of Ecuador. Day 5 - Walk to Condor Husai Project. Take a cookery class in the local Zuleta community. After breakfast you will hike for around two hours to visit the hacienda's condor rehabilitation project stopping along the way to view some pre-Inca mounds. These are the largest and best preserved archaeological sites of the ancient Caranqui culture. There are 132 small earth mounds dating as far back as 700 A.D. and five large square truncated pyramids from 1200 A.D. The Condor Husai is the only place in Ecuador licensed by the government to breed and release into the wild these amazing birds. You will be able to observe the eight condors they have in captivity and with some luck you might see wild Andean condors of Ecuador flying above you or even landing on the aviary. The Zuleta community area is famed for its traditional embroidery, dairy products, alpaca farming and highland crops such as wheat, maize, potatoes and quinoa. "Zuletenos" and "Zuletenas", as the local people are known, keep their culture and traditions very much alive so keep an eye out for the way they dress here and how different it is from the traditional Otavalo clothing. For lunch you will visit a local house in the Zuleta community where you will receive a warm welcome and the chance to help cook a traditional meal. This provides an insight into local life as well as contributing directly to the local community. Having cooked the meal you will then proceed to eat it for lunch! Later you will return to the hacienda and, time and energy permitting, will be able to explore more of the hacienda's grounds or undertake some of the activities on offer. Day 6 - Drive to Quito. Tour of the Old Town. Quito is a busy, vibrant city at an altitude of 2,850m/9,350ft and is the second highest capital in the world. The city is located just 20 miles south of the equator, in a valley high in the Andes and is over-shadowed by the dramatic Pichincha Volcano. Nowadays, Quito has two main sections, the old colonial town which is a UNESCO World Heritage site and the new town where most hotels and tourist facilities are located. This morning you will drive to Quito and in the afternoon, you will have a guided tour of the Old Town with its fabulous array of colonial churches, monasteries and convents. Firstly, for orientation, you will visit El Panecillo a hill on the southern edge of the Old Town topped by a huge statue of the Winged Virgin. From here there are great views of the old city and the surrounding mountains. You will then take in some of the major monuments from Quito's colonial legacy, including the vast cobbled square of San Francisco with its adjoining church and monastery and the richly decorated, Baroque confection of the church of La Compañia. The streets of the Old Town throng with local people and there is a feeling of being in the real, vibrant, South America here. Your tour will end with a chocolate experience. Ecuador's unique equatorial climate provides the perfect environment for growing the world's finest cacao - Cacao Arriba. Cacao has been revered in Latin America for over 5,000 years. In fact the Spanish explorers loved it so much they called it the 'Food of the Gods'. You will visit Republica del Cacao whose journey started over ten years ago when they set themselves an ambitious mission, to locally produce the most authentic chocolate, protecting and developing sustainable, fine cacao production. Your chocolate experience starts with a guided journey by story through the history of Ecuadorian cacao and of course the opportunity to taste the chocolate and buy some for later consumption. You are free for dinner whilst in Quito, so you may like to try one of the many cafes and restaurants near the hotel, or indeed dine in the hotel's lovely dining room. Your guide and the hotel can advise you on where to go if you would like suggestions. Taxis are very reasonably priced within the city if you decide to explore some of the great restaurants located in other areas. Day 7 - Fly to Baltra via Guayaquil. Visit the Itabaca Channel for kayaking & snorkelling. Drive to Santa Cruz Highlands. Early this morning you transfer to the airport for your flight to the Galapagos. The airport on Baltra was built using the most advanced environmental techniques to reduce emissions and energy use, some of which you will notice upon arrival. You will be met by your guide and taken through to the VIP arrival area. Your bags will be collected for you whilst you relax in the lounge with a cool drink and prepare for the rest of the day's activities. Once you have cleared the bio-security at the airport you will take a short bus ride down to the Itabaca Channel where your boat will be waiting to take you for a kayaking and snorkelling trip. There is no better way to start your Galapagos journey than by getting on the water upon arrival. After boarding your boat you will have the opportunity to kayak (sit-on-top-boats) and snorkel in the clear waters and see your first Galapagos wildlife. Afterwards you will disembark on Santa Cruz Island and drive south up into the highlands to a private nature reserve where the famous giant tortoises live in the wild. You might also visit some of the island's famous lava tunnels. These tunnels were formed as the outer skin of molten lava solidified but the liquid magma inside continued flowing, leaving behind a series of empty tubes. Some of these tubes are high enough to walk through. In the late afternoon you will transfer to Magic Galapagos, a luxury tented camp in the Highlands. This is an exclusive giant tortoise reserve perched high on the hillside overlooking the ocean, far below. The tents are safari style with all modern amenities set in peaceful surroundings where the only sounds are of the surrounding nature. Dinners are a sumptuous three courses served in the main lodge area. There are two natural lava tubes a short walk away across the camp's grounds providing a perfect spot to relax around the fire with a drink. Day 8 - Boat transfer to Floreana Island. Walk to La Loberia. After breakfast a short bus ride takes you into the main town of Puerto Ayora from where you take a boat trip of about two hours to reach the island of Floreana. Floreana, once a pirates' lair, was the first inhabited island of the Galapagos and today has a population of just 150. It is the smallest and least developed of the Galapagos's four inhabited islands and the local people have a very strong sense of community and a real desire to see their more relaxed way of life preserved. A trip to Floreana is about meeting the local people and helping this small community survive intact while protecting this precious area and its unique environment. On arrival you will take an open-air 'Chiva bus' to the Lava Lodge overlooking one of the Galapagos' most beautiful and secluded bays and once you are settled in, you can walk or paddle (kayak or stand up paddleboard) to nearby Black Beach for some snorkelling. After a time in the water to whet your appetite, you will walk to a restaurant in the nearby village for lunch at a community cafe. Afterwards you can walk from your lodge for about 30 minutes along one of the island's trails to explore La Loberia, a sea lion breeding ground. Here you will have the opportunity to swim and snorkel with sea turtles, sea lions, rays and other stunning fish. 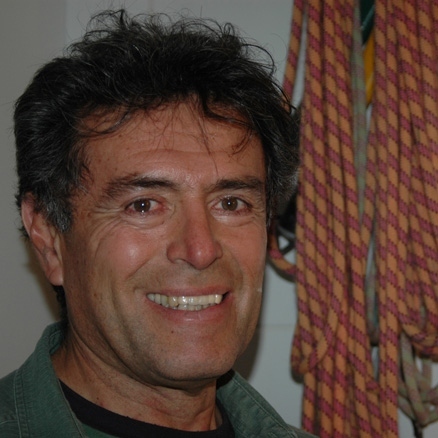 The Lava Lodge is operated by Claudio Cruz a descendent of one the island's original inhabitants. He is a fascinating man and will, over the next few days, share his deep knowledge of the island and its colourful history, giving a very special insight into life on Floreana. Returning to your lodge there will be time to shower and relax, watching the sun set over the ocean, before you walk into the village for dinner at a local restaurant, part of the community tourist initiative which our agents helped to develop. Day 9 - Floreana highlands hike – 8 km, 3 hours. Wildlife and beach activities in the afternoon. A short drive in a chiva takes you to the Floreana highlands where you will begin your walk to Asilo de la Paz (Peace Haven). You walk to this historic site where there are great views over the whole island, explore pirate caves and visit the freshwater spring that provides water for the entire island. Along the way you should see some giant tortoises lumbering through the undergrowth or on the trail. From Asilo de Paz you walk down through a cultivated area where local people grow their crops as they have done since the settlement was founded. You will visit Claudios farm at La Primavera, where you can see frigate birds 'dance' as they swoop down over a fresh water pond to wash their salty wings. You will also see where the delicious fruit and vegetables come from that you've been eating on the island. From La Primavera you will again travel by chiva towards Las Palmas, where the island's first permanent inhabitant, the eccentric Dr Ritter, settled in 1926 and where he is buried. Along the way you will hear tales of some of Floreana's colourful first inhabitants, including the 'Wittmers' and the 'Baronessa', who disappeared in suspicious circumstances. Claudio has many fascinating stories about these first settlers that make up the intriguing history of the island. Later you will have more time for some marine exploration with opportunities for swimming, snorkelling, kayaking, or even to try your hand at stand up paddling. Dinner tonight will be a special BBQ. Day 10 - Transfer to Isabela Island. Explore wetlands trail and the tortoise breeding centre - 2-3 hours walk. Tintoreras Island visit with opportunity for snorkelling. Today you will transfer by speed boat to Isabela Island, the largest and most volcanically active of the Galapagos Islands. You will check in at your hotel, a cosy boutique hotel located not far from the town of Puerto Villamil and situated on a lovely sandy beach. Here you will spend two nights on Isabela, with time to explore the central highlands on foot, see several active volcanoes and also have many opportunity to view Isabela's plentiful wildlife. You will start your exploration with a walk on the Wetlands Trail, through various types of mangrove trees, to look principally for marine iguana colonies and aquatic birds. There is a good network of trails to bring you to beaches and historic sites and the chance to see pink flamingos and possibly also some giant tortoises. This archipelago is said to be the only place in the world where you can see both penguins and flamingos! You will also visit the local giant tortoise breeding centre. This is an important conservation centre where the island's giant tortoise are bred and then released into the wild thereby helping a gradual recovery of their population. In the afternoon you will take a boat trip to visit the Tintoreras, a small group of islands near the village of Puerto Villamil - these islands are named after the white tipped 'Tintoreras' reef sharks that swim here. After a short walk on the island amongst sharp black lava you can take to the water, where you may see these sharks, as well as sea lions, turtles, rays, penguins, pelicans and blue-footed boobies both from the boat and whilst snorkelling in the bay, where sea lions or penguins may join you! Day 11 - Day walk exploring the highlands of Isabela Island, 16km - 4-6 hours. After breakfast in your hotel you have the whole day to explore the highlands of Isabela Island with a good walk and amazing views. Isabela is the most volcanic of the islands of the Galapagos. After a short bus transfer you start your hike up to the crater of the Sierra Negra volcano, one of five volcanoes on Isabela. Sierra Negra last erupted in 2005 and its huge and spectacular caldera is one of the largest in the world, second only to Ngorongoro in Tanzania. You will hike along the rim to various view points and enjoy the amazing view across the vast crater. You then continue over a Mars-like landscape to reach the rim of Volcan Chico, from where there are some of the best views on Isabela. You will be offered a snack whilst out on your walk and stop for lunch at one of the farmsteads in the highlands on the way back to your hotel. You will then have the rest of the afternoon free to go snorkelling in Concha de Perla, just to relax on the beach or wander around the town for shopping or to enjoy a drink overlooking the ocean. Day 12 - Transfer to Santa Cruz. Visit the Darwin centre. Free time. This morning you will transfer to Santa Cruz Island, this may mean an early start in which case you will have breakfast on arrival on Santa Cruz in Puerto Ayora, the largest town on the island. This attractive town has the largest population of the Galapagos, with a busy harbour and many friendly bars, shops and restaurants. Pelicans, marine iguanas and sea lions frequent the harbour and come right into town, especially attracted to the fishermen selling their catch at roadside stalls! In the afternoon you will visit the Charles Darwin Research Station, formerly home to the most famous giant tortoise of all, 'Lonesome George'. He is now back, embalmed and on view in his own atmospherically controlled room! Here you will see the conservation efforts being made to protect the Galapagos and its ecosystem. For the remainder of the day you may wander through town and do some last minute souvenir shopping or have a drink at a bar before continuing to your hotel, which is located just one block away from Puerto Ayora's main pier. Day 13 - Group transfer to Baltra airport for flight back to London. After breakfast you will take a private bus transfer and short public ferry across the Itabaca Channel to Baltra airport for your flight out of the Galapagos to Guayaquil to pick up your international flight home. The organisation was brilliant from start to finish. As a solo traveler I felt very safe and well looked after while in Ecuador, the guide spoke perfect English and was very professional and made my trip most enjoyable. This trip combines exploring on foot in the north of Ecuador, staying in magnificent haciendas steeped in history and of course experiencing all the Galapagos Islands have to offer. Actually staying on the Galapagos Islands and being able to stroll around in the early mornings and evenings really added to the experience of being here. It was a time to chat to local people, relax and reflect on the days activities. As an alternative to a cruise I would really recommend it.